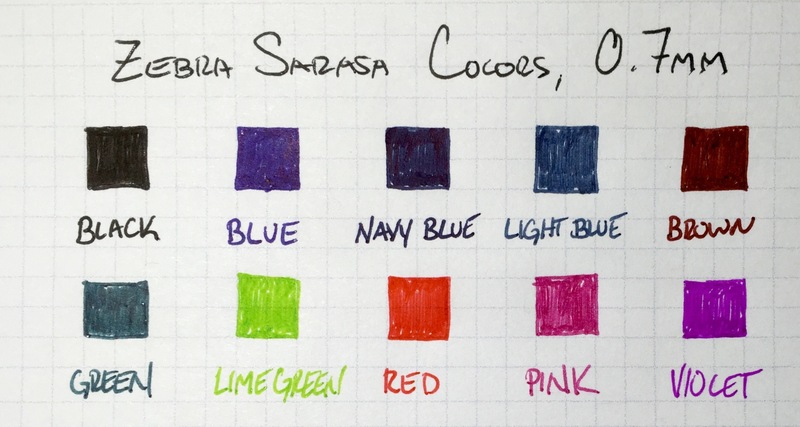 When I reviewed the standard black Zebra Sarasa, I called it a pen that failed to stand out alongside a sea of similar options, and I felt very similar when I cracked open this 10-pack of Sarasa colors. 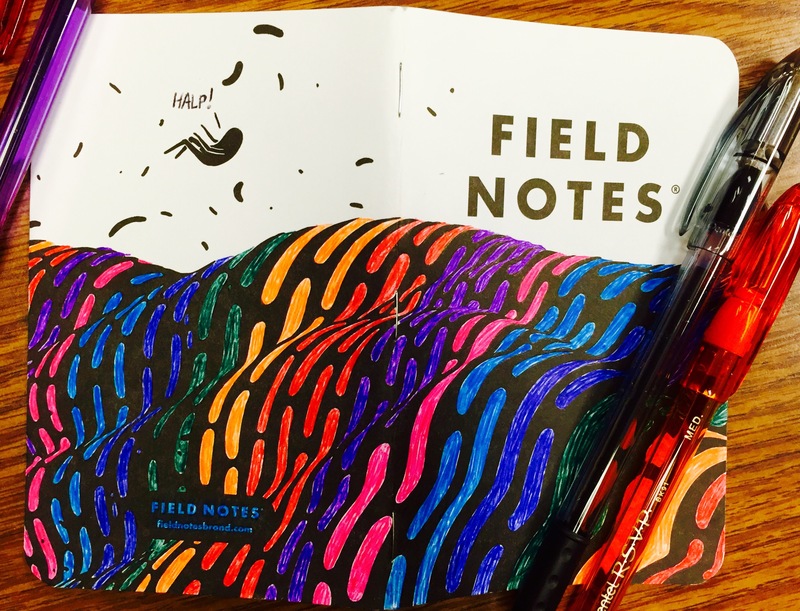 Included in the pack is a black pen plus three shades of blue, two shades of green, a red, a pink, a violet, and a brown. 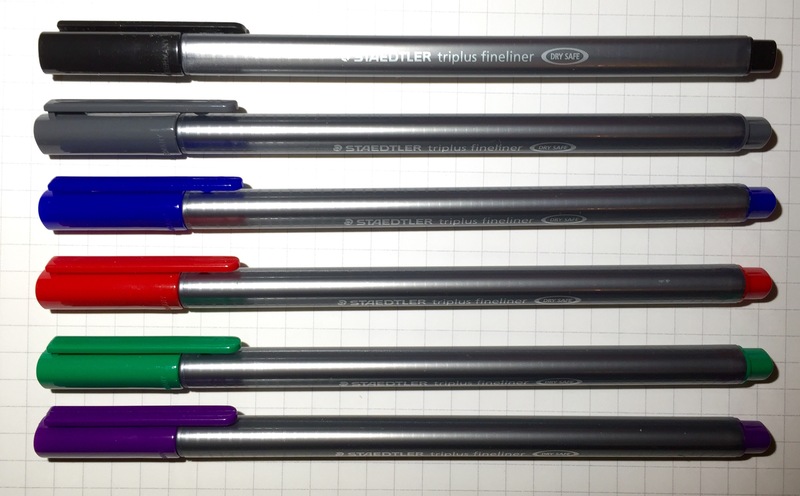 Oddly, orange and yellow – standard colors in larger sets – are absent. 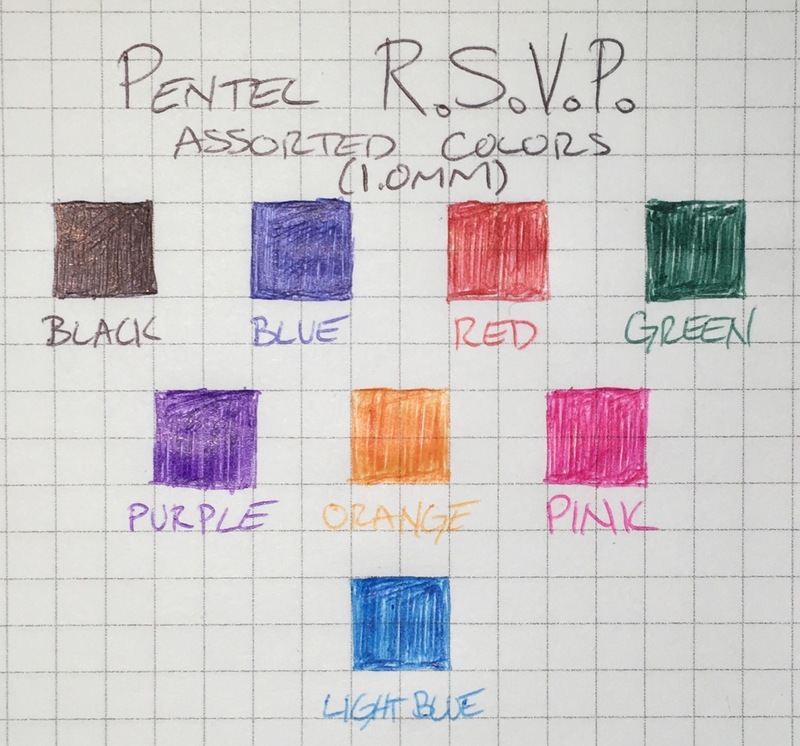 I quite like the aquatic hue of the light blue and the reddish tinge of the brown, but none of the other colors stand out as anything special. 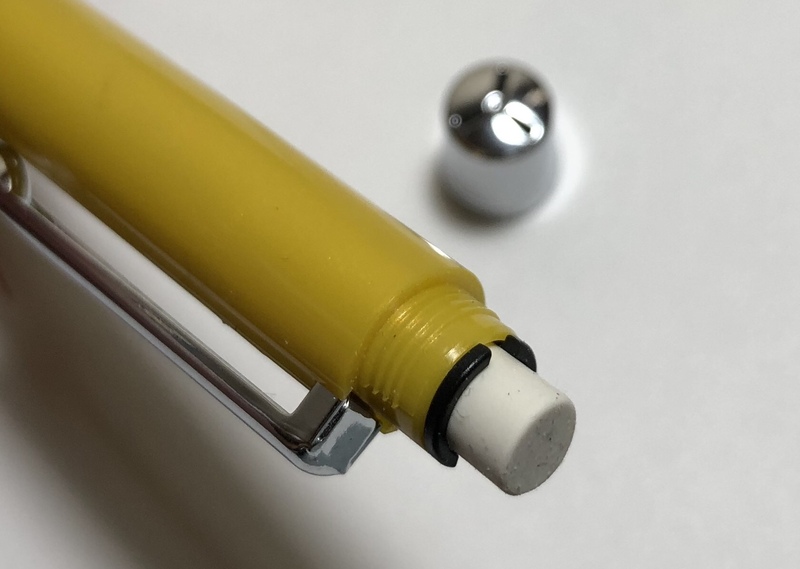 The pens are relatively comfortable to hold, and the ink is relatively smooth. 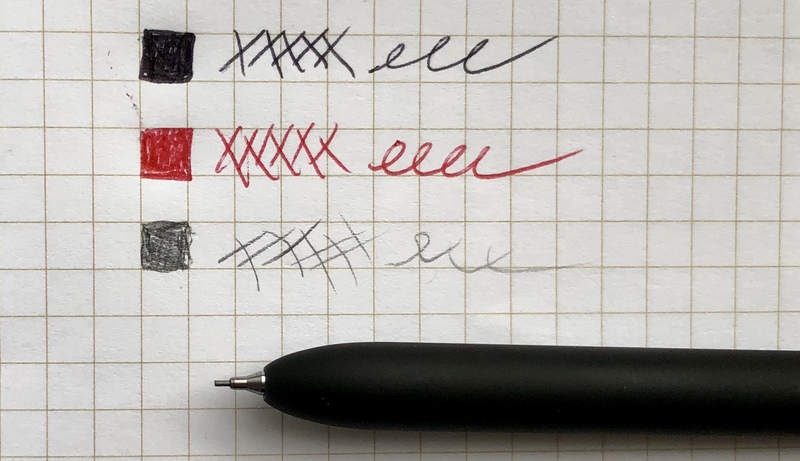 The Zebra website also touts its “rapid dry ink technology,” though the pens still manage to smear somewhat. 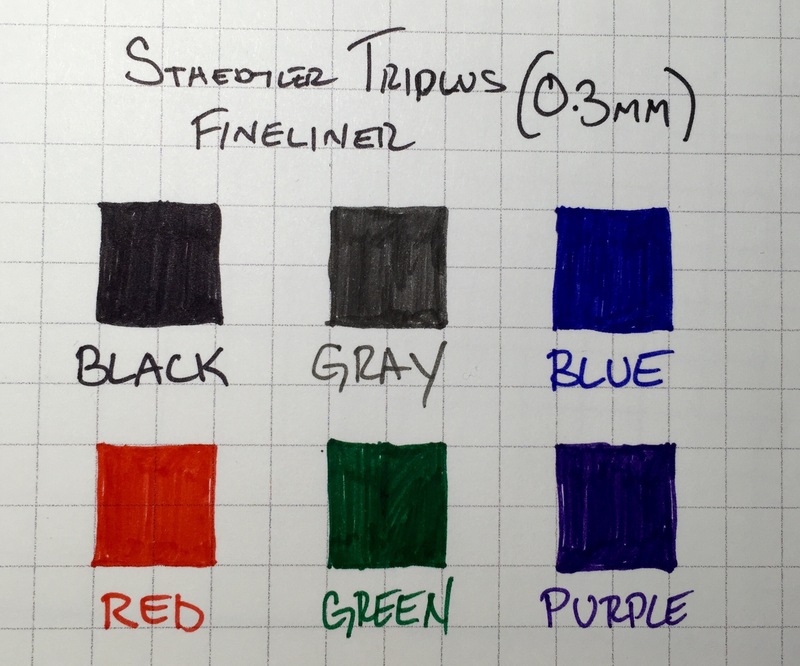 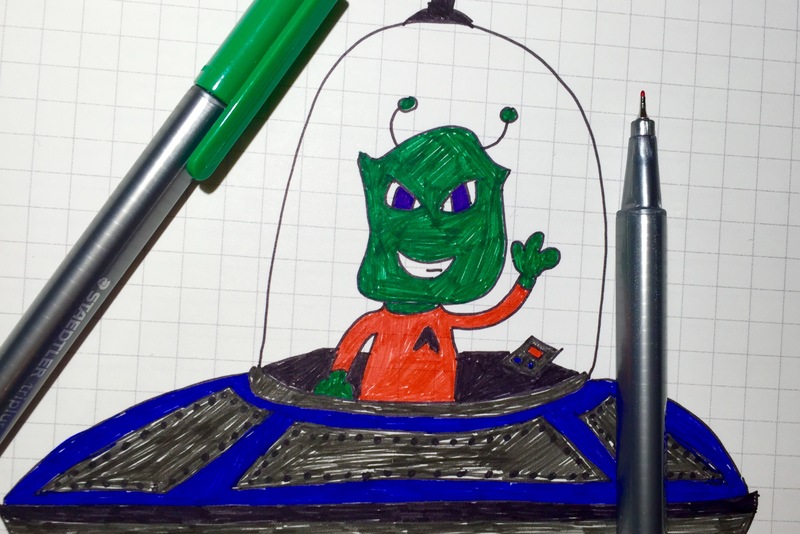 If you already have a stash of colored gel-ink pens, you aren’t likely to find much new here. 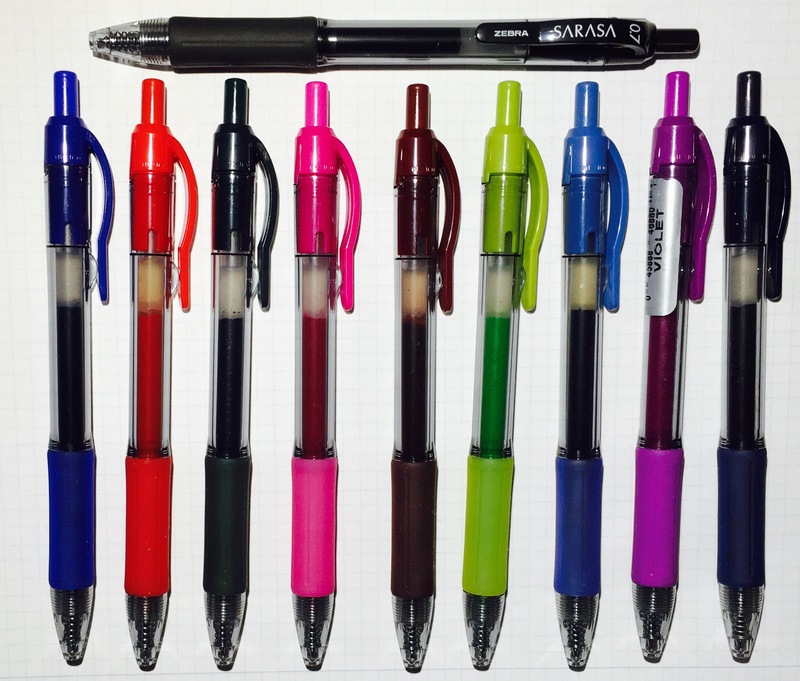 However, these will do fine as a standard set of color pens. 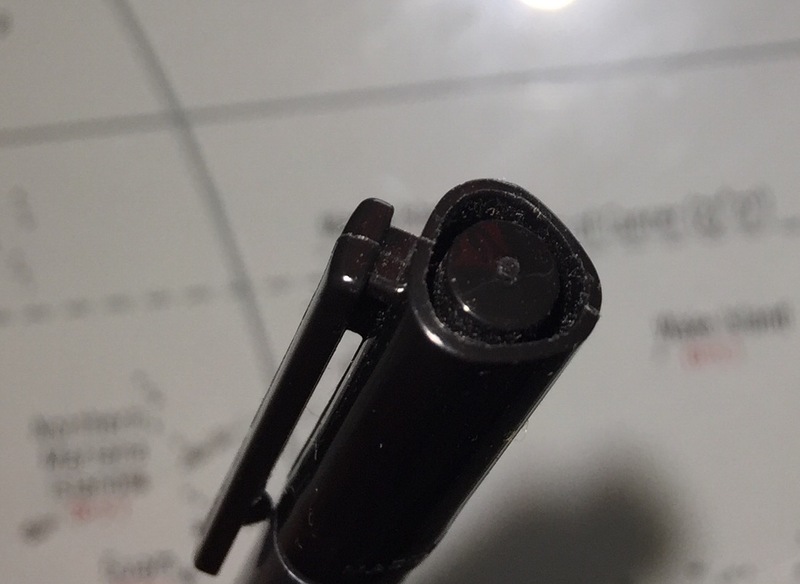 At the very least, that brown ink will look good in my notebooks.